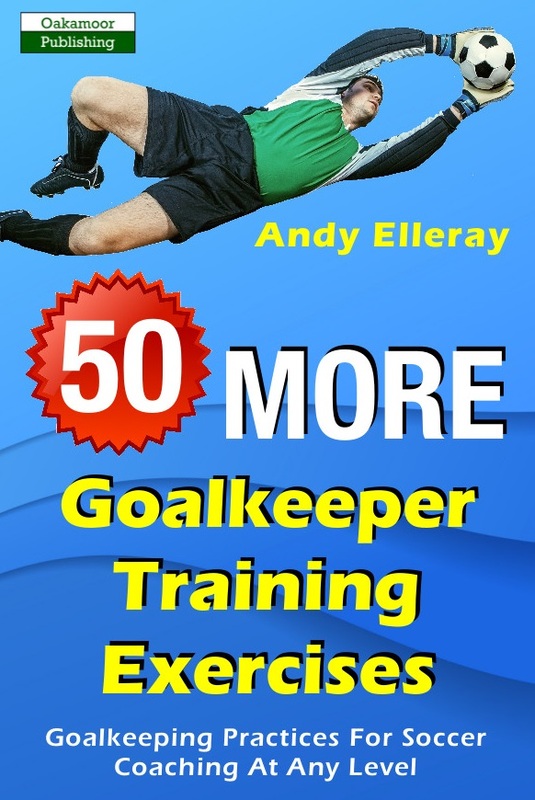 In 50 More Goalkeeper Training Exercises, goalkeeping coach Andy Elleray follows up his previous book – 65 Goalkeeper Training Exercises – to provide fellow football coaches with a wide variety of new practices that cover many aspects of goalkeeping. Practices are aimed at developing holistically-comfortable and effective goalkeepers who fit into different coaching philosophies and approaches. The practices are designed for working on the specific skills that goalkeepers need within the game. The goalkeeper training exercises in the book focus on five main viewpoints – technical, tactical, psychological, physical, and social/environmental. Each practice is weighted to develop these elements to greater and lesser degrees, and exercises include 1v1 techniques, decision making, shot stopping from different angles/distances, travelling around the goalmouth, re-positioning, cutback scenarios, and more. All the listed practices are real-world and have been used at a variety of levels within football to enhance goalkeeper development of all ages. They can all be adapted based on the numbers of players and resources available to the coach, while fundamental factors such as time and space allow the coach to be creative with how the exercises are implemented. The book’s introduction and glossary sections outline how to go about applying the exercises and offer suggestions based on goalkeeping themes and the learning detail required within them. 50 More Goalkeeper Training Exercises is a must-have addition to every coach’s bookshelf. Book Categories: Andy Elleray, Soccer and Soccer Coaching Books.